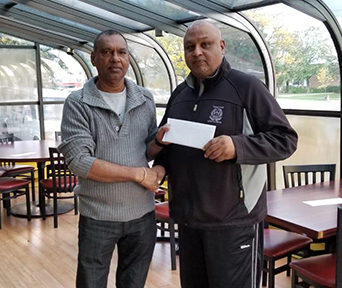 At left, proprietor of Windies, Fazil Mirza, hands over the cheque for an undisclosed sum to GFSCA vice-president Ramesh Sunich, at the Scarborough, Toronto entity. Chief Executive Officer (CEO) of the Trophy Stall Franchise, Ramesh Sunich, has been able to garner sponsorship from a Canadian business for next weekend’s Guyana Floodlights Softball Cricket Association Guyana Softball Cup competition. 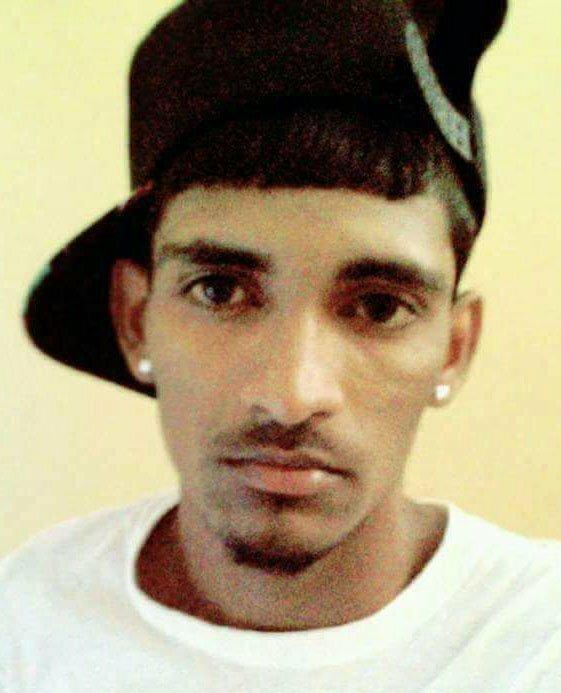 Fazil Mirza, proprietor of the popular Windies Restaurant and Bar has donated an undisclosed sum of cash to Sunich, a vice-president of the GFSCA for the tournament which will be held at the Demerara Cricket Club (DCC), Queenstown from October 26-28. The handing over of the cheque for the undisclosed sum of money was done recently in Toronto, Canada.